Sitting proudly at the very top of a list of places that i can just about pronounce is The Black Swan in Oldstead, North Yorkshire, which has been awarded the title of Best Restaurant in the World by TripAdvisor’s Traveller’s Choice Awards. Resting on the edge of the North York Moors, the family-owned, Michelin-starred restaurant is the first in the UK to receive the award, beating out competitors including the 2015/16 consecutive champion, Martín Berasategui, in Lasarte, Spain. The pub has been owned since 2006 by farmers Tom & Anne Banks with sons Tommy and James heading up the kitchen and front of house respectively. The pub first made headlines in 2013 when Tommy was awarded the Michelin Star aged just 24, making him the youngest ever recipient in Britain. Using produce mostly sourced from their own land, The Black Swan offers a tasting menu that includes Turbot with Strawberries and Cream and Cake made from Chicory Root and Blackcurrant. 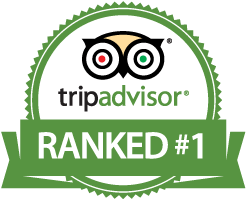 The algorithm used by TripAdvisor to determine the winners takes into account the quality and quantity of worldwide reviews from customers in the past 12 months. The Black Swan topped all 3 UK, Europe and Worldwide categories with second place going to another British establishment – Raymond Blancs’ Belmond Le Manoir aux Quat’Saisons, in Oxfordshire. See, who said British food was rubbish? ← Previous Post Looking for something in particular?